There is a little more then a week to go for the O'er the Hills Early Peninsula War Scenarios Kickstarter. 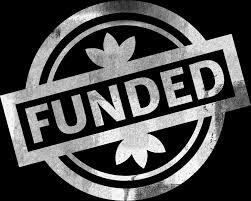 Eleven days and a little less than $300 in pledges is needed to make this a reality. 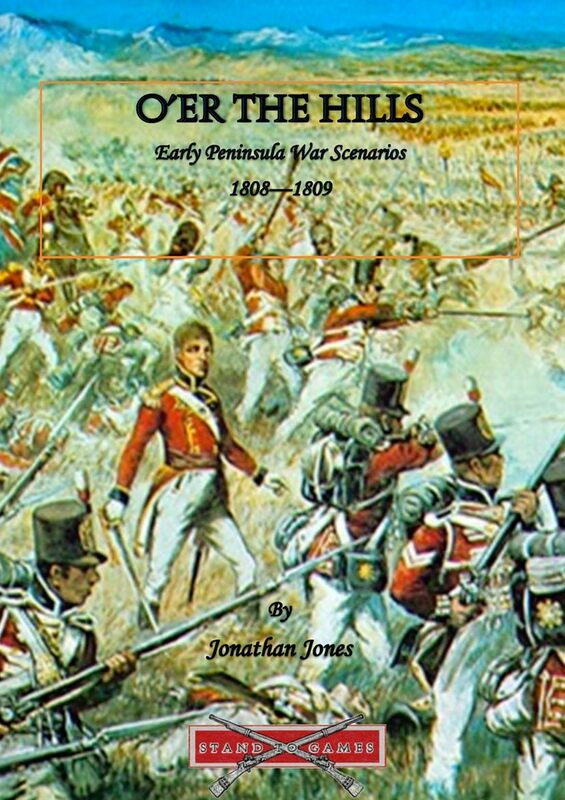 I suspect most of my readers are familar with JJ's Wargames blog by Mr Jonathan Jones, this is really a superb site with beautiful photographs of many excellent Action Reports of Napoleonic miniature wargames. The blog is also an excellent resource for all things Napoloeonic, but especially for the Spanish Armies of the era. 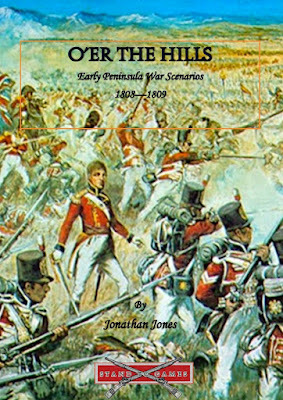 Jonathan has put this book together with the people who wrote the O'er the Hills Napoleonic ruleset and I suspect it will be an excellent reference for putting together games for the Peninsular Wars. I actually do not even use this ruleset but feel confident that these scenarios will be easily ported to Général d'Armée, my chosen ruleset. As an encouragement to pledge, JJ has just announced that all backers with get a free pdf of 2 extra battles with an additional early Portuguese list. PLEASE SUPPORT YOUR FELLOW WARGAMER! Thanks for the heads up on this one; I tossed my hat in the ring. Looks like 5 more pledges needed. One thing about KS; it is often hard to know what is running out there, and it seems to me many creators done' do nearly enough publicity for their project, especially small ones like this. If it funds, my new Spanish and fairly new British will see more action than otherwise would be the case! Thanks Peter, it looks like it was successful. And I don't use the given set of rules, either; I will adapt them to Field of Battle.